In part three of a twelve-part blog series, founder of Books from Start to Finish Graham Schofield continues to share his thoughts on the elements authors must consider in their desire for success in fiction writing. In part four in the series, Graham will look at using a prologue and epilogue. In part two in the series, Graham discussed how to develop dynamic and engaging characters. In part one of this series, I talked about developing a concrete basis for your book, but where do we go with starting to flesh that out? In part two I looked at characters and helped you develop these in a meaningful way, with the need for conflict in their lives. All stories need conflict, so how do we best develop that as we build the outline and flesh out the plot? We set up the story, we develop it towards a climax, and then we deal with the aftermath, but how much time should we spend on each? This is all about pace and timing, and making sure the levels of detail will be enough, and that we’ll not build up too slowly or too quickly towards the aforementioned climax. As ever, there’s plenty of advice in books and on the internet, but let me share with you the approach that has always worked for me and my clients. Can you immediately see how useful this chart is in making sure we don’t start off on the wrong foot? 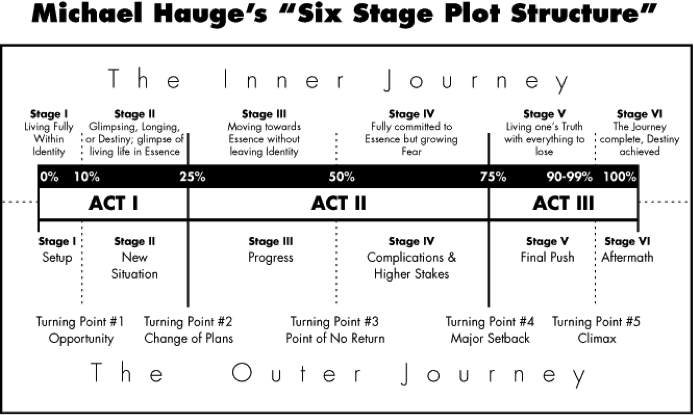 The inner journey stages are there to ensure the character of our main protagonist develops in a meaningful and interesting way, while the turning points in the outer journey help us define how the book will progress. A 24-year-old heiress is kidnapped from her home in modern-day New York and, with the demand that no police are involved, her father engages a PI to find her and bring her home. So, turning point # 1 could be where the villains execute their plot, and #2 might be where a ransom is paid but the girl is not released. This prompts the father to hire the PI and then 50% of the book is about his investigation, leading up to his discovering where the girl is being held and planning a rescue. Turning point #3 could be where new demands are made and he only has five days before the girl will be killed, so a rescue attempt is the agreed upon option—turning point #4 comes when he gets to where she is being held, only to find she’s been moved. I’m sure you can guess the rest up to turning point #5, but I’m equally sure you see my logic here. What we’ve looked at across these first three parts of the series is taking our basic premise and beginning to develop all the essential background so that when we come to write, we know exactly what we need to cover and in how much detail in order to retain the right balance and that essential pace. Finally, I’ll leave you with some great advice from Michael Hague himself as he discusses the use of his model and demonstrates key elements using two well-known movies. Don’t forget, whatever he says about the spoken word also applies to the written one when it comes to planning and preparation for your book. 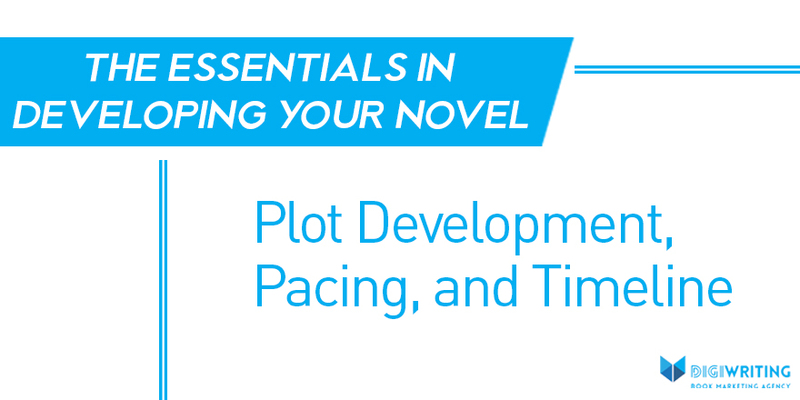 Have you found another model or method that helps you develop a three-act structure for your book? If so, please share some details below and tell us how you found it useful.